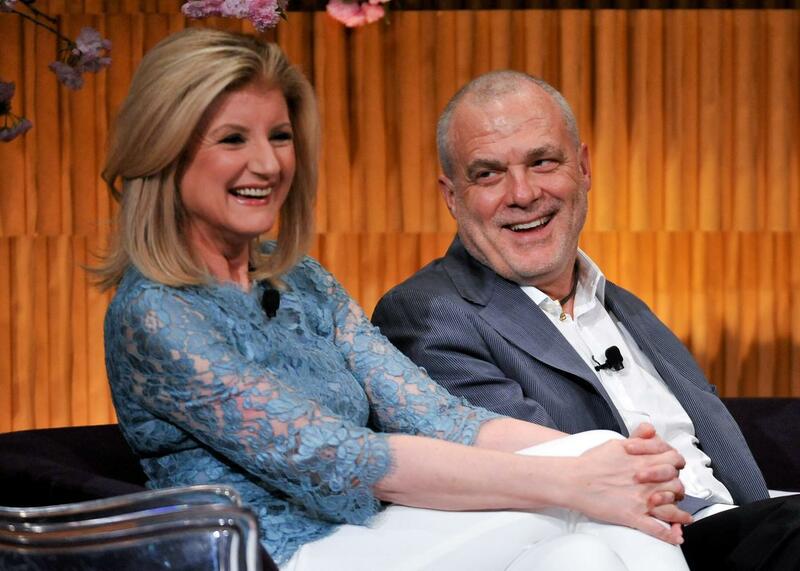 Sleep enthusiasts Arianna Huffington and Mark Bertolini in 2014. Last week, Aetna CEO Mark Bertolini revealed that one of his company’s many wellness programs is a system that incentivizes employees to sleep more. “If they can prove that they get 20 nights of sleep for seven hours or more in a row, we will give them $25 a night, up to $500 a year,” Bertolini said on CNBC’s Squawk Box, in a segment with fellow shuteye champion Arianna Huffington, who has just released a book called The Sleep Revolution. He said Aetna employees have “all sorts of different ways of proving it,” including wearing Fitbits to track their sleep patterns. Aetna’s sleep program sounds like a great idea. After all, the average American gets too little sleep, and sleep deficits can lead to health and cognition problems. According to the New Yorker’s Maria Konnikova, who wrote a fascinating series on the science of sleep last year, “If you sleep six hours a night for twelve days … your cognitive and physical performance becomes virtually indistinguishable from that of someone who has been awake for twenty-four hours straight”—which is itself virtually indistinguishable from the performance of a drunk person. It’s not good for companies, or for employees, when employees are stumbling around with the cognitive capabilities of spring breakers, so it makes sense that Aetna would want to encourage its workers to take their rest more seriously. But Aetna’s program doesn’t seem like the best way to do it. For what it’s worth, Bertolini got the details of the program wrong on CNBC: According to Aetna communications director Ethan Slavin, employees who participate in Aetna’s Healthy Lifestyles program earn $25 for every 20 nights in which they sleep seven hours or more, with a cap of $300 per year. That means that if they sleep seven hours or more on 240 days per year, they’ll get the full $300. (Employees who max out their sleep earnings can also earn up to an additional $200 a year by logging other healthy activities.) Neither the sleep nor the streaks have to be continuous—you don’t get disqualified if you get up to go to the bathroom in the middle of the night, nor do your 20 nights of sleep need to occur consecutively. “We understand that somebody might have a bad night, with a kid waking up in the middle of the night (happened to me) or just a difficult day, so we don’t reset the counter and force it to be consecutive days,” Slavin said in an email. But even if you set those objections aside, the way in which Aetna collects employees’ sleep information is flawed. On the one hand, as Bertolini described on CNBC, employees can a wear fitness tracker like a Fitbit and have their sleep information automatically synced with Aetna’s wellness platform. This method isn’t foolproof—colleagues who wear Fitbits tell me that sometimes the tracker mistakenly logs sedentary time spent reading or watching TV as sleep, and that the app allows you to retroactively correct sleep logs (or, if you’re striving for a $25 reward, to retroactively falsify sleep logs). But Aetna also allows employees to enter their sleep information into the wellness platform manually—which means that an unscrupulous employee could simply lie about how much sleep she was getting in order to collect the monetary reward. “We try to ‘assume positive intent’ with our employees—particularly with a program that is encouraging them to be healthier,” wrote Slavin. I totally understand why Aetna gives employees the option to log their sleep manually—insisting on digital verification of their sleep patterns would be overbearing and creepy. But an incentive program that can easily be circumvented isn’t much of an incentive program at all. And even if Aetna’s employees are all logging their sleep accurately, financially rewarding employees who get enough sleep can only be part of the solution to corporate America’s sleep deficit. As Huffington has noted in many interviews over the past week, many people neglect their sleep hygiene because of unrealistic expectations that they be available to work or answer emails 24/7. It’s all well and good to tell employees you want them to get enough sleep, but if that message is paired with late-night memos and requirements that employees check their work email from their mobile devices, it won’t make much of a difference. For what it’s worth, Aetna seems like one of the few companies that’s legitimately interested in employees’ well-being—but other companies looking for a shortcut to increased productivity might adopt Aetna’s sleep incentive program without addressing their own toxic culture and unrealistic expectations around work hours. If CEOs really want employees to sleep more, they should encourage employees to work reasonable hours and to unplug when they’re not at the office—which will probably lead not only to better sleep but also to employees who are happy to be treated like grown-ups.